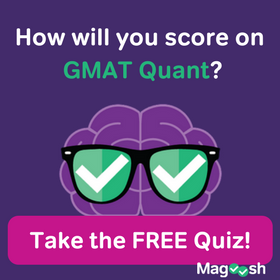 Although thousands of different word-usage errors could appear on the GMAT, the test repeatedly includes commonly misused words. The following is a list of twenty commonly misused word pairs (or trios), along with definitions and examples of the proper use of each word. Accept is a verb that means “to agree to receive something”. Example: I could not pay for my purchases with a credit card because the store would only accept cash. Example: Except for a B+ in history, Kate received all As on her report card. Example: Fortunately, Kylie’s sore ankle did not affecther performance in the game. 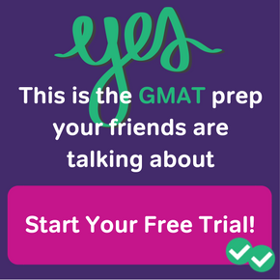 Effect is usually a noun that “indicates or achieves a result.” Effect is also sometimes used as a transitive verb meaning “to bring into existence,” but it is generally not used in this way on the GMAT. Example: Studies have shown that too much exercise can have a negative effect on a person’s health. Among is used with more than two items. Example: Jackie’s performance last night was the best among all the actors in the play. Between is usually used with two items. Example: Simon could not decide between the two puppies at the pound, so he adopted them both. Assure means “to convince” or “to guarantee” and usually takes a direct object. Example: If we leave two hours early, I assureyou that we will arrive at the concert on time. Example: Before he could leave for his trip, Steve had to insure his car against theft. Example: Our company goes to great lengths to ensure that every product that leaves the warehouse is of the highest quality. Example: The only way to describe her eyes is to compare them tothe color of the sky. Example: My favorite place to dine is on the terrace; the breathtaking views are the ideal complementto a romantic dinner. Example: At baseball camp, Jack learned that with the correct stance and technique, he could throw the ball farther this year than he could last year. Further indicates “additional degree, time, or quantity.” It can also be used as a verb. Example: I enjoyed the book to a certain degree, but I felt that the author should have provided further details about the characters. Example: Kim furthered her education by taking summer classes. Fewer refers to units or individuals that can be counted. Example: Trish received all the credit, even though she worked fewer hours on the project than did the other members of the group. Less refers to mass or bulk that can’t be counted. Example: When it comes to reading, Mike is less inclined to read for pleasure than is Stephanie. Example: His sister did not mean to imply that he was incorrect. Example: The professor’s inference was correct concerning the identity of the student. Example: In the summer, my family enjoys drinking white tea for its refreshing, light flavor. Example: Fortunately for the runners, it’s a sunny day. Lay means “to put” or “to place,” and requires a direct object to complete its meaning. Example: To protect your floor or carpet, you should always lay newspaper or a sheet on the ground before you begin to paint a room. Lie means “to recline, rest, or stay” or “to take a position of rest.” This verb cannot take a direct object. 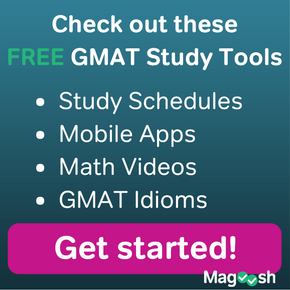 The past tense of lie is lay, so use extra caution if you see these words on the GMAT. Example: On sunny days, our lazy cat will lie on the porch and bask in the warmth of the sunlight. Example: Yesterday, our lazy cat lay in the sun for most of the afternoon. Example: Kate and Allie were very close, liketwo peas in a pod. Such as indicates an example or examples. Example: Composers such as Mozart and Bach are among my favorites. Number is used when the items can be counted. Example: The numberof students enrolled at Valley College has increased during the last five years. Example: A small amount of rain has fallen so far this year. Example: A high school principal is responsible not only for the educational progress of his students, but also for their emotional well-being. Example: I hope to see a 30 percent return on my principal investment within the first two years. Example: Our principal concern is the welfare of our customers, not the generation of profits. Example: A study of basic physics includes Newton’s principle that every action has an opposite and equal reaction. Than is a conjunction used in comparison. Example: Rana made fewer mistakes during her presentation than she thought she would make. Example: Mandy updated her resume and then applied for the job. That introduces an essential clause in a sentence. Commas are not required before the word that. Example: I usually take the long route because the main highway that runs through town is always so busy. Which is best used to introduce a clause containing nonessential and descriptive information. Commas are required before the word which if is used in this way. Which can also be used to introduce an essential clause to avoid repeating the word that in the sentence. Example: The purpose of the Civil Rights Act of 1991, which amended the original Civil Rights Act of 1964, was to strengthen and improve federal civil rights laws. Example: I gave Mandy that book, which I thought she might like. There is an adverb specifying location. Example: Many people love to visit a big city, but few of them could ever live there. Example: More employers are offering new benefits to their employees, such as day-care services and flexible scheduling. Example: They’re hoping to reach a decision by the end of the day. Whether should be used when listing alternatives. Example: Traci could not decide whether to order the fish or the chicken. If should be used when referring to a future possibility. Example: If Traci orders the fish, she will be served more quickly. Example: Sunscreen protects yourskin from sun damage. Example: When you’re at the beach, always remember to wear sunscreen.